EFTCO is a 'non-profit' association committed to reliable, trustworthy and environmental friendly services of its members. No similar federation is available in the Globe. 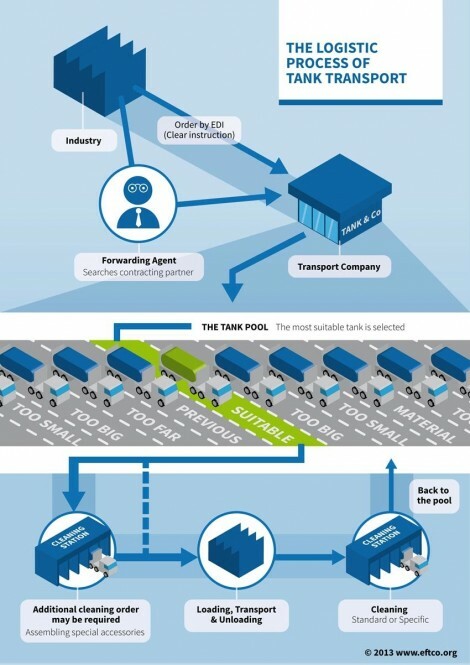 EFTCO represents 510 tank cleaning depots, in 22 European countries. EFTCO works together with interested parties on matters of Safety, Environment, Education and Technical improvements to develop a better understanding and practice in tank cleaning. EFTCO has cooperation with European Federations like the European Chemicals Council (Cefic), the European Chemical Transport Association (ECTA), the International Tank Container Organisation (ITCO). The activity is underpinned by the EFTCO Cleaning Document (ECD), owned by EFTCO and used by the cleaning companies to record in a multi lingual format the services completed. The ECD has unique numbering to provide traceable provenance by EFTCO's Members of any legitimate ECD. The Memorandum of Association stipulates that the objective of EFTCO is to study, protect and develop the professional interests of the Federation and its members, to develop and promote the professional image of the Federation and its members, to seek and encourage the development of relationships with other organisations having related activities and with regulatory bodies, both nationally and internationally. It is important that this service is carried out by professional and reliable partners. This is one of the main objectives of EFTCO and for which the EFTCO Cleaning Document (ECD) stands: a document common accepted as a proof that the tank cleaning was carried out as the customer requested, at a high quality level and in respect of all legal, safety and environmental requirements . The ECD contains important information for all partners in the supply chain and needs to be understood in different countries. This was achieved by introducing the EFTCO cleaning codes translated in several languages. Because a tank cleaning station does not know the next load, a tank is always cleaned according to the “EFTCO definition of clean”. Other services are possible, but must be additonal ordered by the customer. A tank is cleaned from the last load. Depending on the demands of the next loading place, the transport company chooses an appropriate tank. Sometimes additional services by the tank cleaning company must be ordered, to make a tank suitable for the next load.